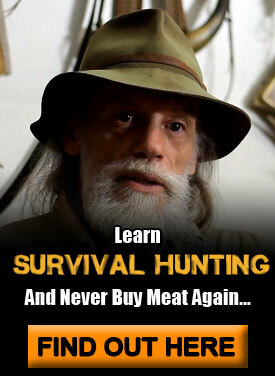 In part 2 of this article I’ll be dealing with the primary fixed off-grid cooking options available. If you’ve missed part one, be sure to check it out. In it, I had covered the main types of portable off-grid cooking stoves that you should be aware of when looking to equip your 72-hour kit (bug-out bag). If the grid were to go down tomorrow and you had no access to gas or electricity, would you still be able to heat and cook your food? 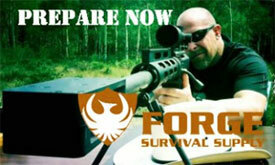 Do you have a backup plan available that can last you ay least 3 months? If not, then this article will give you a first step in opening your mind to the options available to you. I’m actually in the same boat as many of you. When it comes to long-term cooking, unfortunately I’m completely dependent upon the grid (dependency…I hate that feeling). This article is actually a result of the research that I’ve done in figuring out a way to still be able to cook meals for my family if the grid were to go down. 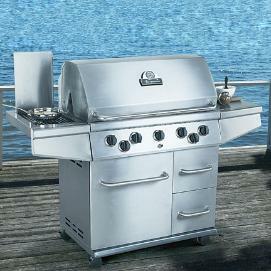 Propane Stoves: Propane stoves come in many shapes and sizes — everything from a standard home stove to an outdoor grill. While it provides clean reliable burning the downside is you’ll need to forget about trying to make it yourself. The only option is to store a bunch away. Better check your local zoning laws. Multi-fuel Camp Stoves: Although this was covered in the previous article, they are still good options for fixed and long-term cooking. Some of the double-burner camp stoves that are available — while too cumbersome for bugging-out — are perfect for long-term use. And since many will run off of grain alcohol, they are perfect if you can make your own fuel. 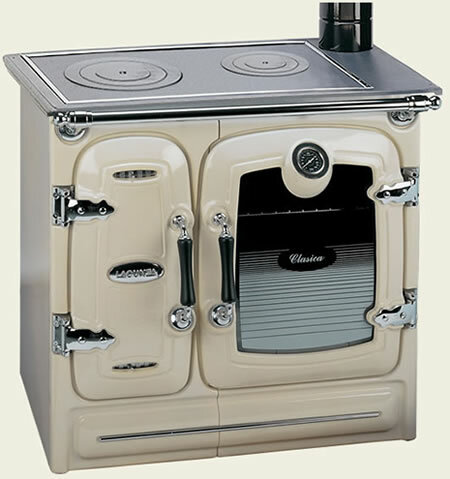 Marine Diesel Stove/Oven: Typically used on larger boats (as well as RVs) for cooking, marine ovens/stoves are a valid option for the home as well. If you have the ability to store diesel fuel, than these types of stoves/ovens might be a good choice. Be prepared to pay a hefty price though. Keep in mind with all fuel-based stoves (wood also) that you need to be wary of carbon monoxide poisoning. Make sure you have plenty of ventilation and are following all of the manufacturers recommendations. For those who live in an area with plenty of sunlight, harnessing the power of the sun can be a readily available and effective method of cooking. 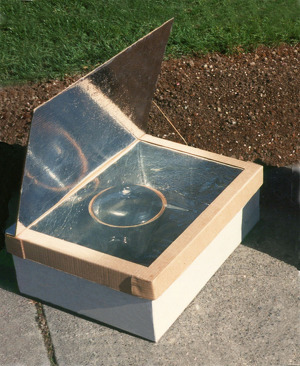 Solar cookers can cook stews, bake breads, and even fry eggs. When it comes to cooking food, wood has been the fuel of choice for millenia. Fortunately, due to modern technology, cooking via wood has come a long way since the basic three-stone fire. Modern cook stoves serve as dual purpose heating and cooking stoves. They are constructed much like wood heating stoves but are specially designed to focus the heat at particular surface areas for cooking. Some of the higher-end stoves also have ovens for baking and some even have the ability to heat water for your hot-water needs. The newer ones are definitely pricey but I’ve seen many of the older ones selling for under $500 on craigslist in my area. For those a bit strapped on cash at the moment but still want an effective form of cooking off-grid, the rocket stove is a perfect choice. 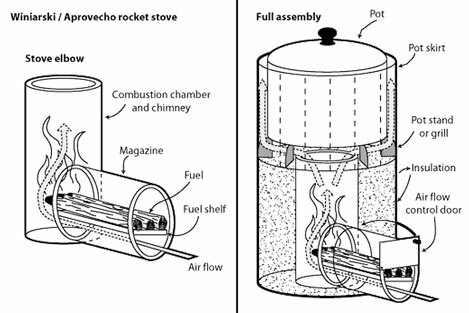 Invented by Dr. Larry Winiarski, the rocket stove is a highly-efficient cooking stove that requires very little wood to cook an entire meal. Due to its design that allows for complete combustion, with just a few twigs and sticks you can maintain a hot burning fire that’s super clean and produces practically no smoke. 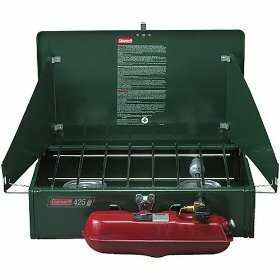 On this link ” http://www.tacticalintelligence.net/blog/off-grid-cooking-part-2-fixed-cooking-options.htm ” you have a photo of a modern wood stove (the cream coloured one) Can you please let me know where I can find an article about this specific model? 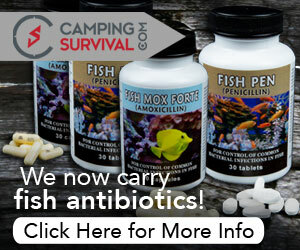 I believe there are dealers in the U.S. As well that sell this.